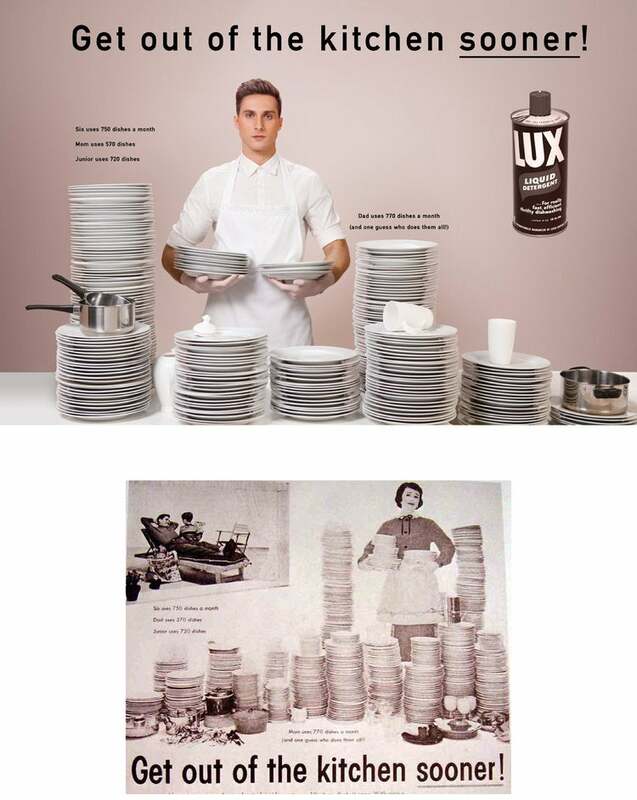 Artist Eli Rezkallah has created a 'parallel universe' of images in which men do housework and serve women, not the other way around. 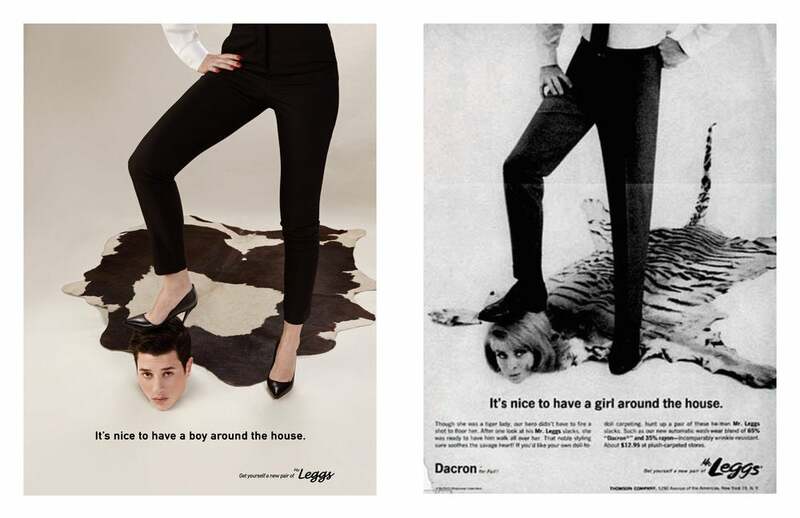 The current societal movement to expose sexual harassment and assault and humanize victims shows that gender bias and inequality prevail, often under the radar. 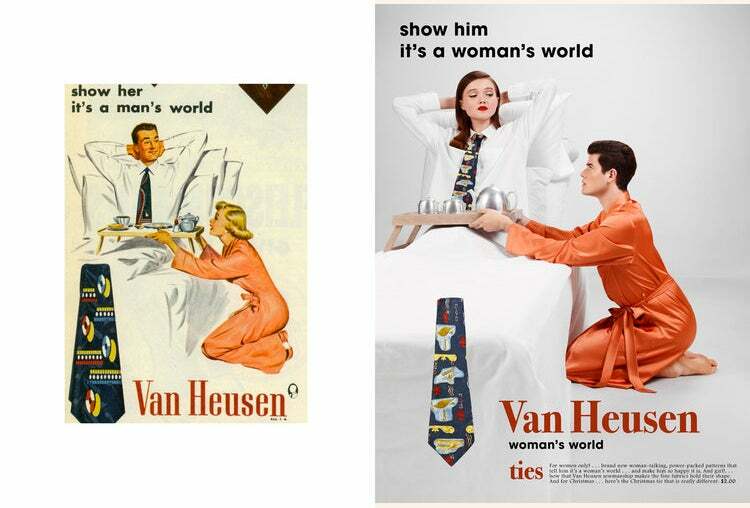 Advertisements today generally might not pander to socially ingrained ideas about gender roles and dominance, at least in the overt way they once did (with some present-day exceptions), but the foundational beliefs -- and resulting actions -- remain. 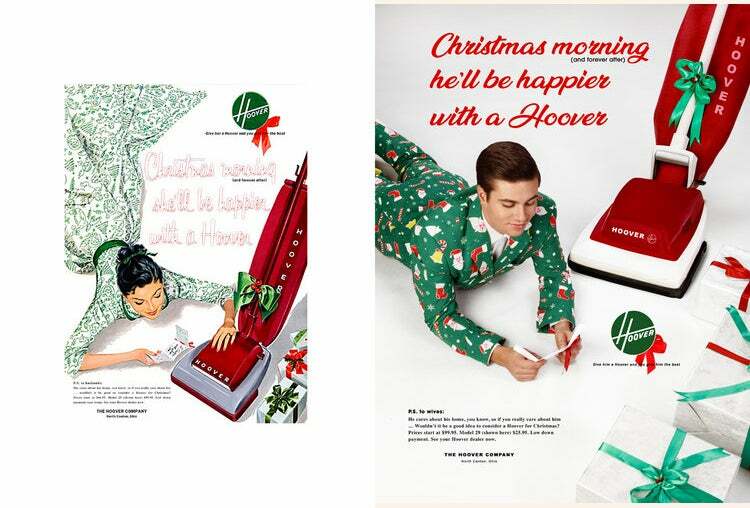 That’s why photographer Eli Rezkallah created a series of images titled, “In a Parallel Universe” -- updated versions of real magazine ads from the 1940s through 1960s that depict women as homemakers whose sole duty is to care for their husbands, reversing the genders so that men are the servile ones. 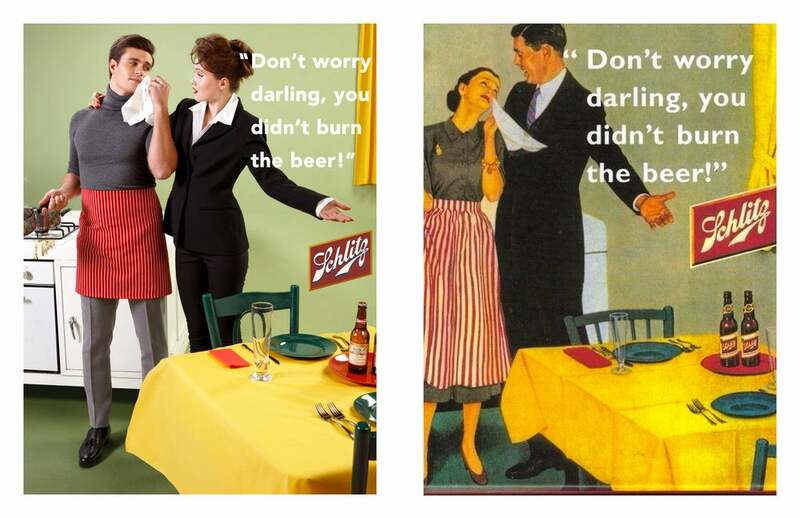 Despite the progress women have made toward equal representation in a range of career fields, and the fact that magazines no longer run such blatantly sexist ads as the one pictured above (and those that follow in the slideshow), many people still need to look no further than their family’s Thanksgiving table to encounter sexism against women. 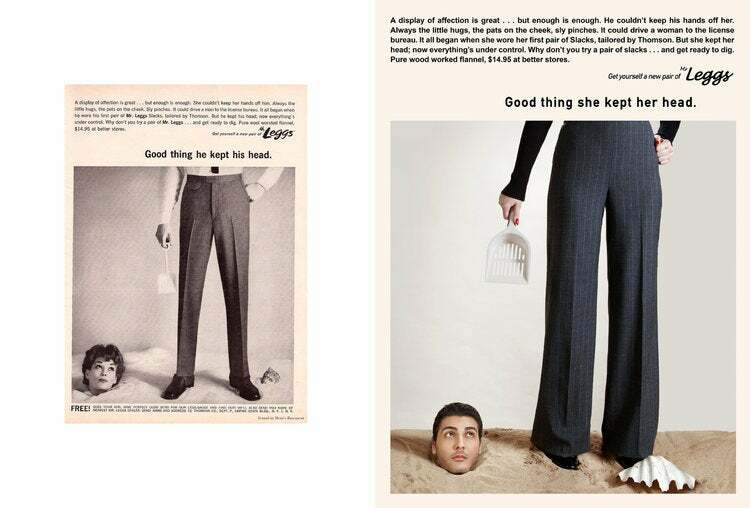 The ideas Rezkallah’s creations are based on aren’t entirely absent from advertising in the 2010s. 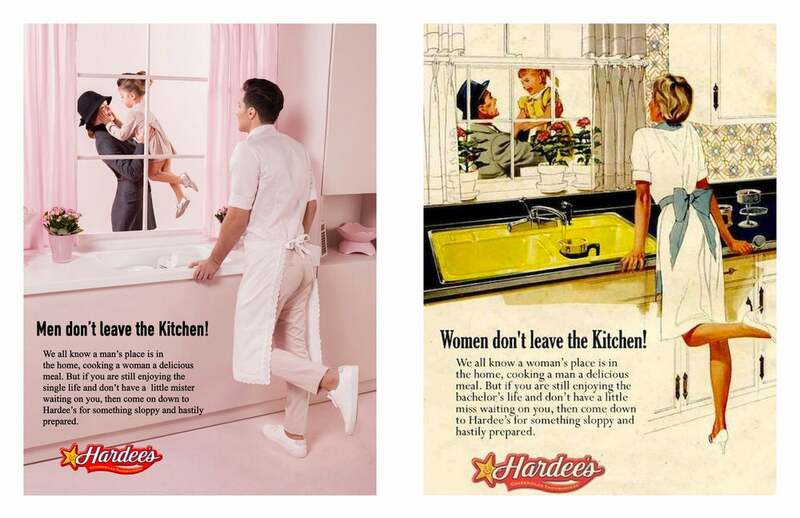 A Hardee's ad from the 1940s is among them, and even in the 21st century, the fast-food chain has produced ads with supermodels, designed to lure "hungry, young guys" to its restaurants. 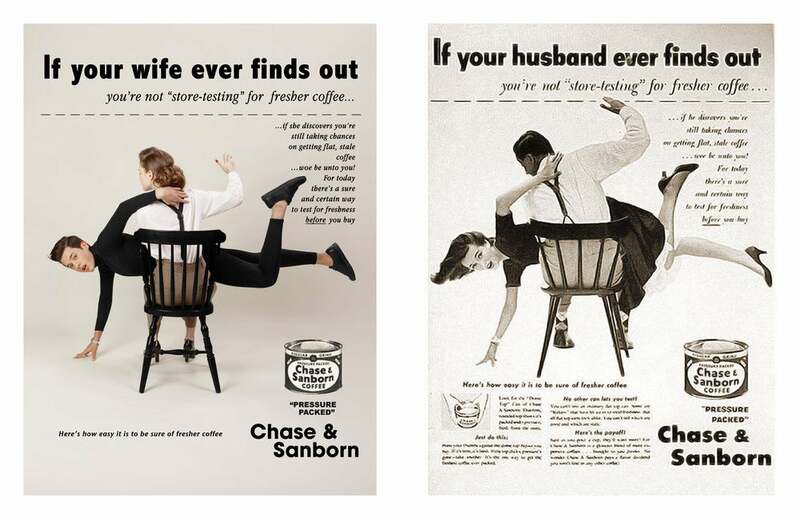 A less widespread example of a recent tone deaf ad is one from Asheville, N.C.-based Spicer Greene Jewelers, which last year created a billboard that said, "Sometimes, it's OK to throw rocks at girls..."
Meanwhile, high-profile women in Silicon Valley have vocalized the gender inequality that still persists in tech and society at large, prominent examples being former Uber employee Susan Fowler and former Kleiner Perkins Caufield & Byers junior partner Ellen Pao. Rezkallah’s series of images might prompt some to remark that no gender should be presented as dominant over another, while others may find it refreshing to see the roles flipped. Click through the slideshow and come to your own conclusions about the power of representation.